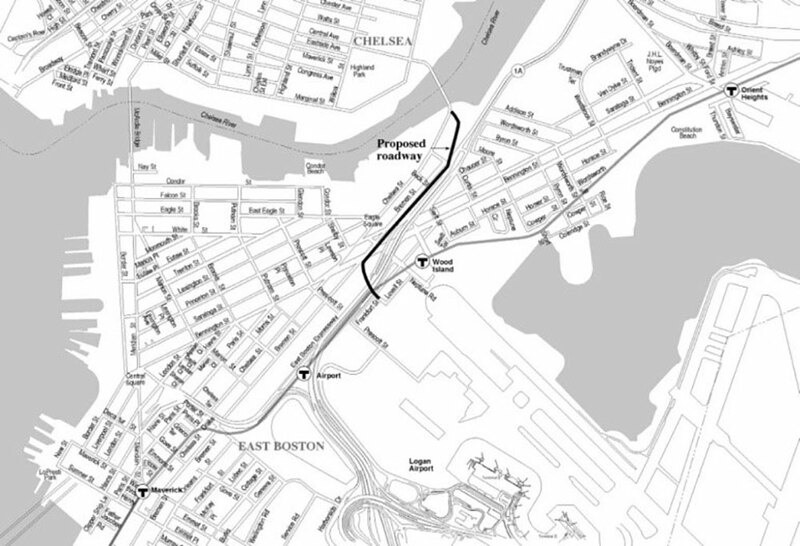 The Massachusetts Port Authority proposed to construct a new limited-access bypass road for commercial vehicles. The Project will consist of a 2,225 foot two-lane roadway in an existing abandoned railroad corridor to provide an alternative to existing roadway connections through congested city squares. HMMH conducted a noise analysis that evaluated the potential noise impact of the proposed bypass road in accordance with FHWA and Massachusetts Department of Transportation noise assessment criteria. Measurements of existing noise conditions were conducted, and the Traffic Noise Model was used to model the future build conditions. Noise impact was assessed at a few of the closest homes. Noise abatement measures were considered, but were not feasible due to the presence of other significant traffic noise sources in the study area. HMMH conducted an air quality study consisting of a mesoscale and carbon monoxide (CO) hot-spot analysis of mobile source emissions in the project area. The mesoscale analysis was performed to assess the total volatile organic compounds (VOCs) and nitrogen oxides (NOx) associated with motor vehicle emissions for the Preferred Alternative compared to the No-build condition. Because the Project introduces a new roadway to the area, a CO hot-spot analysis was performed using EPA models MOBILE6.2 and CAL3QHC to evaluate the air quality impact at nearby residences along the new bypass roadway compared to the National Ambient Air Quality Standards (NAAQS).